Mathias Klang has posted about an interesting development in the increasing complex interaction between the real and the virtual worlds. Swedish game developer MindArk has been granted a banking licence by Swedish Financial Supervisory Authority. MindArk are known for developing and managing the remarkable Entropia Universe, which is the “first virtual universe with a real cash economy”. Entropia is almost always mentioned when talking about virtual economies because its virtual currency has a high exchange rate with real currencies, and they also offer credit cards and other innovative financial mechanisms. The fact that they are now a recognised credit institution is a huge development for virtual worlds, as it makes it even more likely that there will be a viable commercial interface between the real and the virtual. This comes at the same time as other developments are coming along in virtual worlds which I believe open some interesting interacting options between avatars and real life. 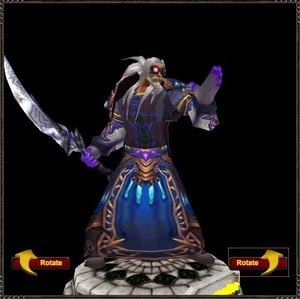 For example, World of Warcraft is now advertising a service that allows users to “print” their avatar with a 3D printer, hence having a real world representation of their characters. My mage gets ready to teleport into the real world. The possibility of having more direct interaction with avatars outside of virtual worlds opens up interesting questions. What is to be done about intellectual property rights? Could anyone set an avatar 3D printing service without Blizzard’s consent? What are the rights of the resulting statuettes? This does not even mention what could happen with an over-imposed world of augmented reality. I know some people are already starting to talk about the IP implications of 3D printing, so at least there is a discussion about these questions out there (LawClanger has been writing an article on this). Do these developments mean that there will be orcs storming virtual banks, as predicted by Charles Stross? Does playing games lead to depression and suicide? Should a person go to prison for stealing virtual goods?